With more than 30 years of experience as a financial statistician, software engineer, algorithm and computer database developer, Dr. Vyacheslav M. Abramov is perfectly positioned to help the company enter into the emerging crypto-currency and Bitcoin arena. 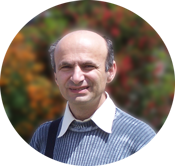 In addition to being invited to speak at several international science and technology conferences and symposiums, Dr. Abramov has also lectured at some of the top technological institutes around the world including Swinburne University of Technology in Australia and City University of Hong Kong on topics such as time series analysis, financial mathematics, differential equations and probability and statistics. Dr. Abramov is highly skilled in predicting financial markets and crypto-currency fluctuations and shared his opinion in the Asia Pacific Financial Markets journal with a review on “Estimation and Prediction of a Non-constant Volatility.” He also served as an associate editor for the International Journal of Statistics and Probability and he was a member of the editorial board for the Chinese Journal of Mathematics’ mathematical analysis section.